Collaborative robots have gradually entered the shop floor and have become quite popular among workers from across the globe. 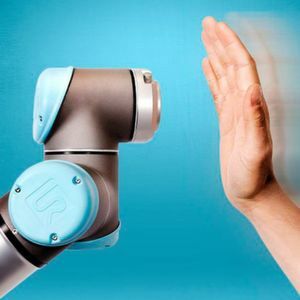 Its diverse benefits and ease of human-robot collaboration has made cobots a massive hit in present day factories. Right from holding heavy parts to performing monotonous activities, collaborative robots have transformed the way people work on the shop floor. Initially, there were tensions among workers regarding the security of their jobs with the introduction of cobots in their factories. However, as they began to work closely with collaborative robots, they started realising its merits. According to a case study by Universal Robots, workers at an India-based SME, SMEW Textile Machinery who are responsible for producing textile winding machines were impressed with the cobot installed in their factory. Used for pick and place applications, the operators found it easy to use and programme the cobot. It also made the workers realise that it could make their work easier and also upgrade their skills at the same time. The ROI (Return on Investment) for the cobot was less than a year and with it, SMEW Textile Machinery was able to triple its production. Before the robot was installed, the firm was making 30 pieces per week and now they are manufacturing 80-90 pieces every week! Hannover Messe 2018: A grand success! Another case study by Kuka showcases how Skoda Auto, one of the leading car players in the world at its factory in Vrchlabi, Czech Republic recently turned from producing automobiles to high tech automatic double clutch transmissions for the entire Volkswagen Group. To assist this change, the car company turned to Matador Group to establish a production line by making use of a cobot. Workers working with the cobot reveal that it is completely safe and that they do not require safety barriers. There are many other similar ‘cobot’ stories from across the globe. On the job security front, workers are now relaxed. They are now beginning to understand that with the advent of cobots, their jobs will not be taken rather it will give them an opportunity to upgrade their work skills. Swaminathan Ramamurthy, General Manager, Robotics Business Division, Omron Asia Pacific opines, “The intension of cobots is not to replace factory or human workers, but to complement the work that workers are putting in the production lines. 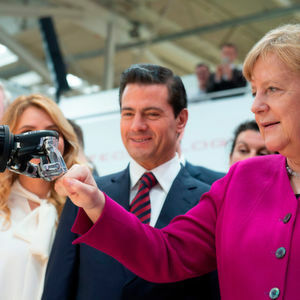 Equipped with sensors to detect and avoid collisions, cobots can navigate around workers, and operate in crowded workspaces and tight factory corridors.” He also adds that manufacturers have therefore been deploying cobots to support factory workers in their daily tasks, which minimises physical exertions and increases overall productivity. 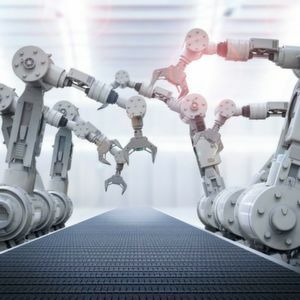 Collaborative robots are definitely the future and with the significant increase in smart factories or factories of the future, the demand for cobots is also expected to increase. Robotics Human robot collaboration is now trending!